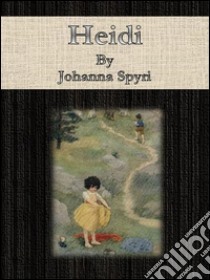 Unassuming in plot and style, "Heidi" may none the less lay claim to rank as a world classic. In the first place, both background and characters ring true. The air of the Alps is wafted to us in every page; the house among the pines, the meadows, and the eagle poised above the naked rocks form a picture that no one could willingly forget. And the people, from the kindly towns-folk to the quaint and touching peasant types, are as real as any representation of human nature need be. Every goat even, has its personality. As for the little heroine, she is a blessing not only to everyone in the story, but to everyone who reads it. The narrative merits of the book are too apparent to call for comment.